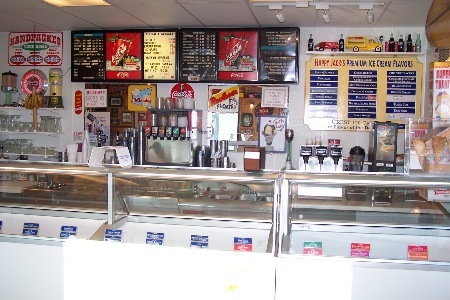 Happy Jacks opened up in 1977 when a fun loving surfer, Jack, decided he preferred the ice cream and sandwich business over the sand and the waves. Almost 35 years later Happy Jacks has grown to be one of the most fun (and delicious) places to eat in the country! (Or maybe even the world!) Our site is a work in progress, but please feel free to get directions and check on our menu! We also recently added a page for pictures so you can get a feel for the unique atmosphere that Happy Jacks has to offer.